A primary school child often asked to take leftover snacks home during a time she was allegedly neglected. A teacher also told a court the girl's hair was not brushed, she was "a wee bit dishevelled" and wore clothes that did not fit properly. The girl was living in a flat in Knightswood, Glasgow, with Derek Carrick at the time. Mr Carrick, 42, denies wilfully neglecting and ill-treating three girls between 2011 and 2013. 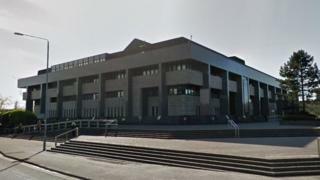 The 55-year-old teacher, who taught the pupil at the primary school in Glasgow's south side, told Glasgow Sheriff Court the girl was "a delightful child to teach" and "very funny and outgoing". The teacher also said the child "significantly progressed" during her time at school. Asked about the girl's approach to food, the witness said she had a good appetite and would sometimes look for more food. She said if there was food left from the morning snacks the child - who cannot be identified - would "quite regularly ask" to take them. Miss Ross-Davie asked if the girl took leftovers home more than other children. The witness said: "Probably a bit more often than other children." Procurator fiscal depute Ruth Ross-Davie asked: "What did you notice if anything about her appearance and presentation during the period you taught her?" The witness replied: "At times she could be in clothes that didn't fit her well or maybe wasn't appropriate, sometimes a wee bit dishevelled." She was asked about the child's personal hygiene and said that she would wash her hands and face and was aware of her own need to be clean. The teacher added that sometimes the girl's hair was not brushed and could be a bit dishevelled. The court heard the girl had an "ongoing problem with head lice" which she said was "visible". Defence counsel Margaret Breslin confirmed that the witness taught the child during two years of primary school. At the time she was in Mr Carrick's care. The court saw photographs of the child throughout her school years and the witness was asked to comment on a photograph that was taken while the girl was in Mr Carrick's care. The teacher said her hair was "tidy and organised". An excerpt of a note sent to Mr Carrick about the child from the teacher was also read that said she "looks fab in her new uniform and has grown so tall". She confirmed that in a police statement she said that girl's clothes appeared too small and she didn't have a lot of clothes "never to the degree that it was alarming". The witness also told Ms Breslin that the child did not smell. Carrick denies the charge and the trial before sheriff Martin Jones QC continues.